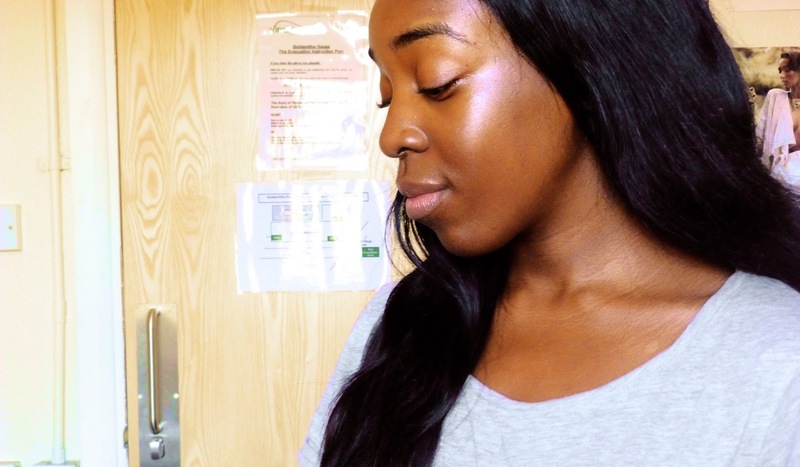 As much as I love make-up and giving yourself the ultimate glow with the help of highlighting, strobing and bronzing; deep down I'm a skincare fanatic. I'm all about achieving 'the glow' naturally if possible, whether that's through drinking more water, tea, the foods I eat, or skincare products. 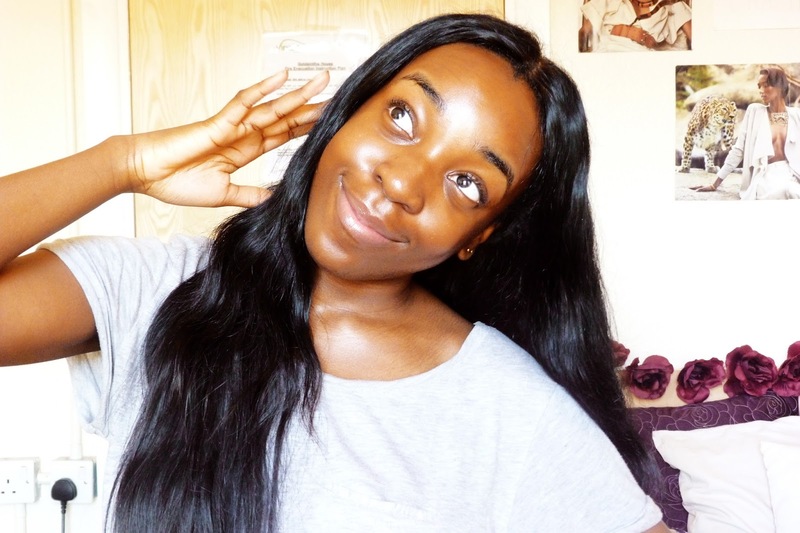 Amie Skincare have recently released a new face mask, The Daylight Glow Brightening Sheet Mask*, which fits right into my achieving the 'natural glow agenda'. The daylight glow brightening sheet masks are soft cloth masks that aim to brighten, hydrate and revitalise your skin. Each mask contains skin-friendly natural extracts of liquorice root and coffee which help brighten, tone and refresh dull skin; and Indian lotus extract and pro-vitamin B5 to nourish, soothe and condition. The masks also contain Hyaluronic acid to give the skin a hydrating boost, soften and increase the skin's suppleness. 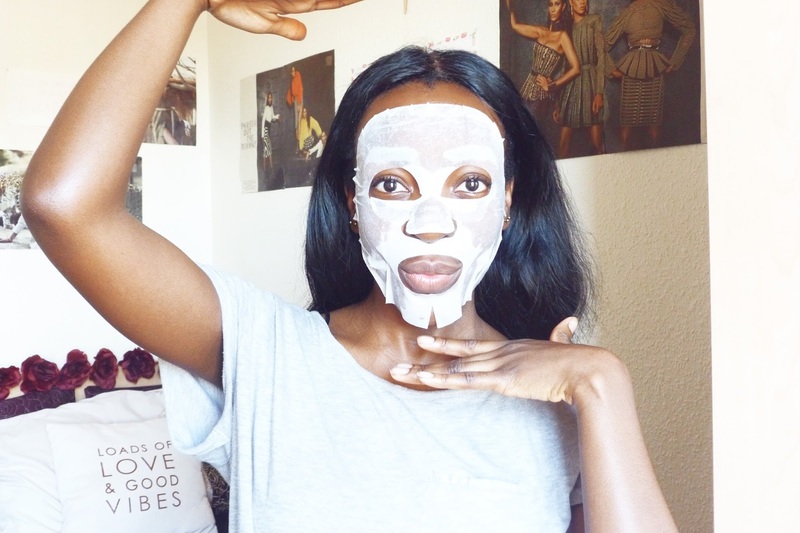 I used the the face masks once a week, sometimes on a Sunday evening to help me prepare my skin for a new week, or instead first thing on a Monday morning. If you're not familiar with sheet masks I have inserted a silly (almost scary) picture of myself below. You get 3 sheet masks in one box, and each sheet masks comes individually packaged and soaked with product; all you have to do is unfold the mask, apply it on your face and leave it on for 20 minutes. After the 20 minutes are up you peel off the sheet mask and reveal your new refreshed uber glowing skin! When using this sheet mask, I exceeded the recommended time and extended it to an hour just because I prefer my face masks to be on my face for longer then usual as for some reason feel like it may work better that way. However this is just my personal preference and you don't have to leave it on your face for so long, there have been a few occasions where I only had 15-20 minutes to spare and still achieved the same radiant results. What I love about these sheet masks is that they don't have a sticky residue; I have used sheet masks in the past from different companies where once you peel it off you are left with an icky sticky residue that you then have to scrub off your face. With Amie's sheet masks once you peel it off you just end up with the lightest layer of product which I then massage into my skin and leaves it very soft and nourished. These sheet masks do everything they promise to do; they have brightened my skin and haven given me a more even look, they have a very pleasant smell that isn't too over powering, they are not drying and have not given me any type of reaction whatsover (which is great because I react to almost everything!) And just a little bonus for 'foodies' like me, you can actually still eat whilst wearing this face mask.. The only slight downfalls of these skin-saving sheet masks is that, as you can tell by the picture they aren't large enough to cover my five-head haha! You also have to be very careful when opening these up because they are very fragile and you could end up ripping the mask. Besides this I think they are a wonderful must have staple to my skin care routine; and very therapeutic on a Sunday evening. A box of 3 sheet masks retail for £6.99 which is super affordable, and a great stocking filler for someone special this Christmas. 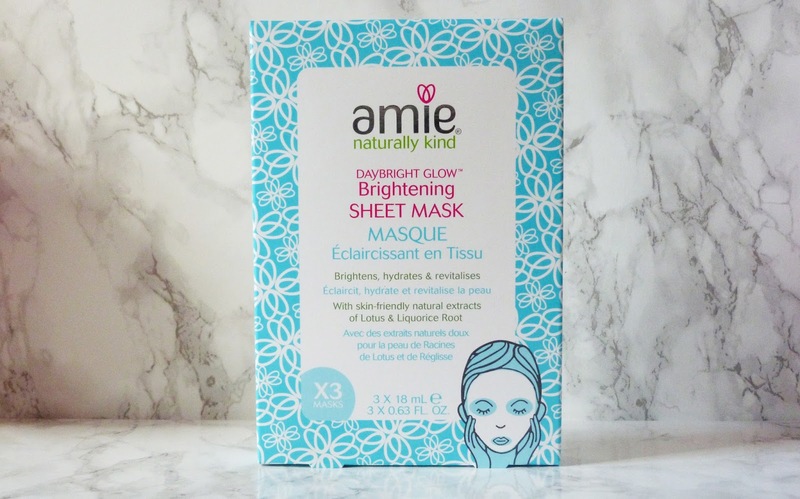 You can purchase these Amie brightening sheet masks in Waitrose or alternatively on their website here, and also browse other Amie skincare products here. 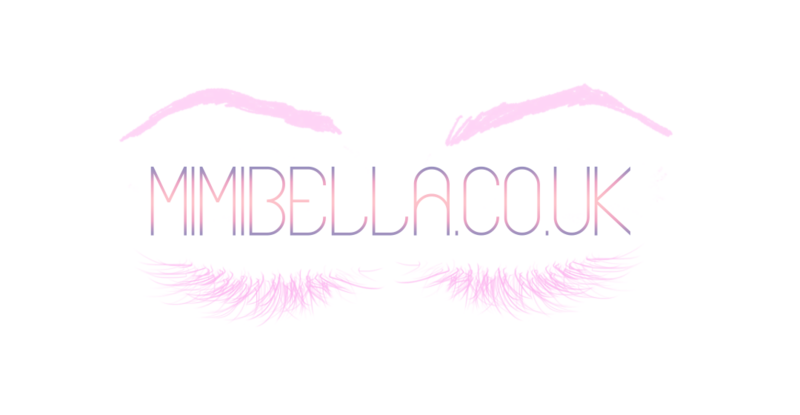 Hope you enjoyed this review, do let me know in the comments section if you've ever used any Amie products before and your experiences too.